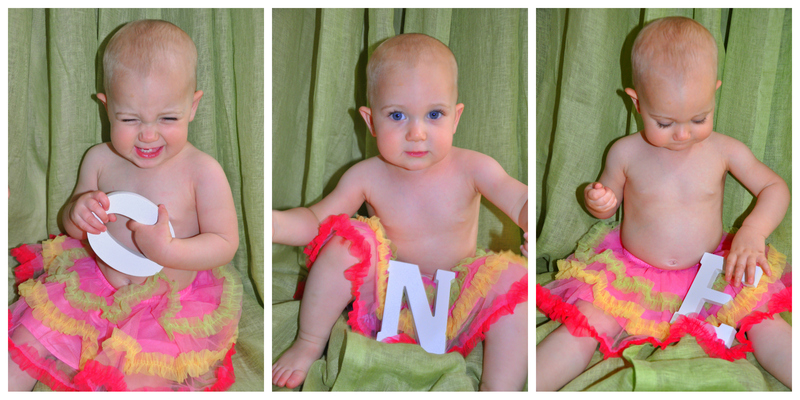 For the second part of Bridget’s first birthday photo shoot, I wanted something “girly.” This was another grand idea of mine, in theory, but not so much in practice. Like I’ve said before, Bridget isn’t the cute dress, fancy headband-type gal just yet in her young life, so this version of the photo shoot was a bit more challenging. 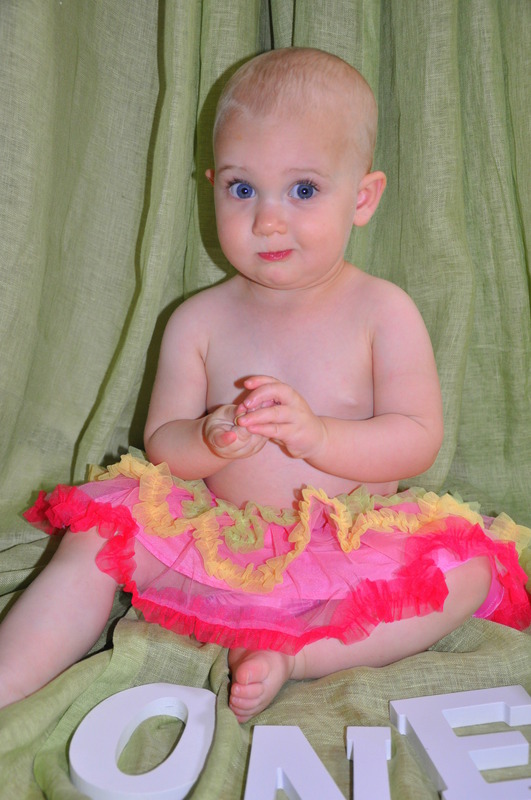 When I put the tutu on her, she looked at it like, “What the heck is this?” And then for the headband, “Yeah right.” This turned out not at all as I had envisioned, but like many things in life, sometimes the unexpected is just fine, too. And you know how I love black and white photos, so even though the colors are what make this fun and girly, I couldn’t resist turning this one into black and white. The number one lesson I learned throughout this experience: I have great respect for children and family photographers. Seriously, how do pros get mobile children to sit still for the camera? Tips welcome, please! 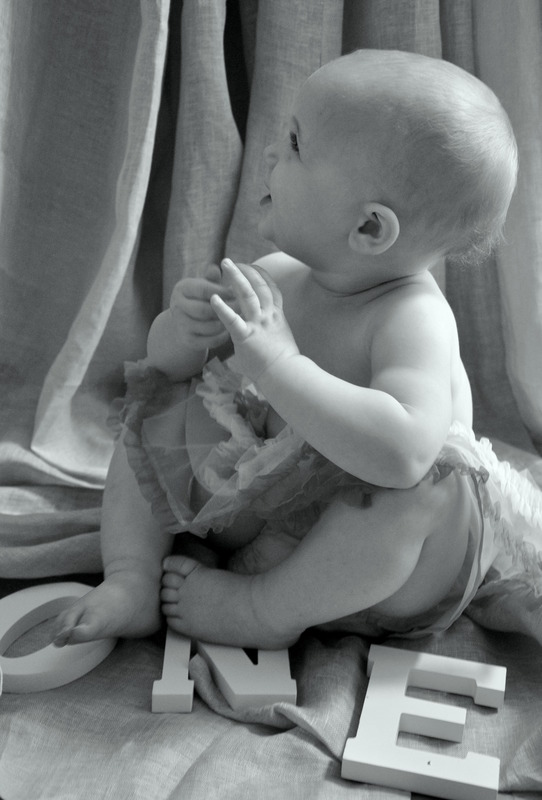 Although this photo shoot didn’t quite turn out as I had planned, it did capture Bridget being Bridget: her smile, curiosity, and active self. Oh, and her love for food.